Digital RS-485 communicating, addressable toxic and combustible gas sensor/controller with digital inputs, programmable relays and analog output for direct connection to the DGC6-Series Digital Gas Controller. Optional Modbus-RTU communications for connection to other controllers. The standard configuration includes (1) 4-20 mA input, (3) SPDT relays, (2) digital inputs and (1) analog output. Each DC6 may be configured with one or two integrated SC2 sensor modules with X-Change sensor technology. 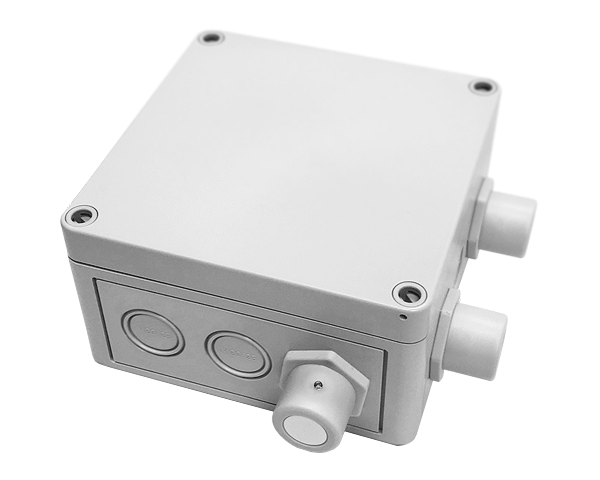 The analog input channel may be used for a third gas sensor (AT6-Series) or any other transmitter type including temperature, humidity air flow, etc. The relays may be programmed to operate in response to readings from the “local” sensors or they may be activated by the DGC6 Controller in response to gas levels anywhere within the “zone” or “system.” An optional horn/light module provides caution and alarm warning of high gas levels, system faults, and service due. Compliant with Safety Integrity Level 2 (SIL 2) and rigorous international standard EN 50545-1 for parking garages and tunnels, DC6-Series sensor/controllers utilize advanced self-diagnostics and flexible ventilation control functions to ensure maximum human safety without compromising energy efficiency.